The first round of rearranged fixtures is taking place this weekend and National One and National Two North are taking centre stage. There is a top of the table clash in National One as league leaders Coventry look to take a major step towards the Championship when they visit Darlington Mowden Park, while Hull Ionians will be aiming to move out of the relegation places with a win against Rosslyn Park. Elsewhere in the third tier, Plymouth Albion can progress into the top three with a win at Birmingham Moseley and Caldy go to Cambridge. In National Two North, four of the five promotion candidates are in action with table toppers Sale FC travelling to Huddersfield while Stourbridge face Tynedale and Sedgley Park host Leicester Lions. Also, there are two significant matches which effect the bottom of this division as Blaydon entertain South Leicester and Sheffield visit Macclesfield. Last weekend, Coventry’s Director of Rugby Rowland Winter described his side’s victory over Cambridge as “a good day out” as the league leaders took another step closer to promotion from National One. The Midlands side were also able to move 21 points clear of second placed Darlington Mowden Park after the North East outfit fell to a defeat at Plymouth Albion, meaning Cov can take a huge stride towards the league title when they visit the Northern Echo Arena this weekend. Winter’s men have won 21 of their 22 games this season, but forwards coach Louis Deacon has stated that his side must not look too far ahead themselves. In terms of Darlington Mowden Park, Director of Rugby Danny Brown seems to be purely focused on his team finishing as high as they can. DMP have battled to stay in touch with Coventry all season, but their loss at Plymouth now leaves them with a lot of work to do. A defeat on their own patch would all but end any promotion ambitions that may remain, but Darlington will be confident of gaining a result considering they have won all 11 of their matches at home this term. The first of Plymouth Albion’s three games in hand is against Birmingham Moseley and the men from Brickfields arrive in the Midlands on a high. Victory over Darlington Mowden Park last week was a performance which head coach Kieran Hallet thought his side merited after a decent display in defeat against Old Elthamians in Round 22. Albion are now four points off third placed Ampthill and District and just 10 behind the aforementioned DMP so a silver medal finish is not out of the question. But if they are to achieve this feat for the second year running, they must capitalise on their extra matches and a visit to Birmingham Moseley won’t be straightforward. Richard Protherough’s side backed up an excellent performance against Bishop’s Stortford with a clinical showing against Fylde last week, despite being reduced to 14-men in the first half. Moseley have lost just one of their last five games and a third win on the spin would see them strengthen their position in the top half. Caldy are back on the road this weekend looking to add a few more ingredients to the performance they put in at Ampthill and District last Saturday. Simon Verbickas’ side fell to a 30-14 defeat in Bedfordshire, but an improved second half performance was certainly a plus point for Caldy to take into this upcoming fixture against Cambridge. Despite that loss, the Wirral outfit are having a wonderful season following promotion from National Two North last year. The men Paton Fields are currently in ninth place and a bonus-point win for Caldy this Saturday would see them move into the top half. Looking to deny them of that opportunity will be a Cambridge side who have also been performing well this term. The Blood and Sand are two places and two points behind their visitors and considering they were in a relegation battle last season, the men from Volac Park are certainly heading in the right direction. Despite their heavy defeat at Coventry last weekend, Cambridge are still in decent form and they will be aiming to return to winning ways this Saturday. 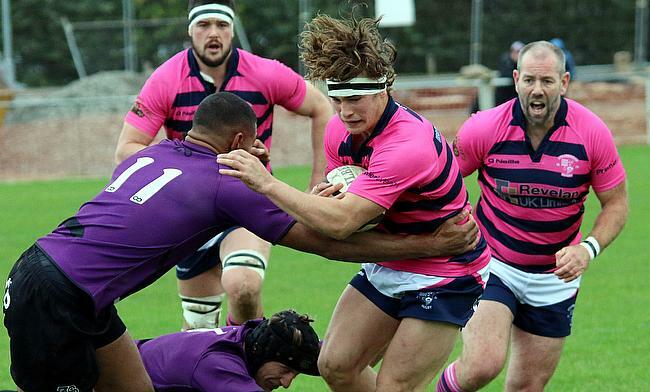 Rosslyn Park were involved in a thrilling contest with Old Elthamians last weekend, but Kieran Power’s side were on the wrong end of the result at the Rock. However, the Park head coach praised the spirit of his team who fought back to earn two bonus-points which could be crucial. As things stand, the London-based side are 10 points clear of the relegation zone and with matches against the current top four to come between now and the start of April, this weekend’s fixture at Hull Ionians offers the chance to settle a few nerves. In truth, it is unlikely that Park will get dragged into a fight for survival, but they will edge close to that battle if they are to lose against relegation threatened Hull Ionians this weekend. The I’s are just two points adrift of safety and will be kicking themselves after drawing with rivals Loughborough Students last weekend. The Yorkshire outfit saw a lead slip away from them so they will be itching to respond on Saturday and a sixth home win of the campaign would see Alex Crockett’s side move out of the bottom three. Last weekend, Sale FC completed their job in style to keep themselves in control of the National Two North title race. A comprehensive victory over Otley extended their winning streak to 14 matches and they remain two points clear of second placed Stourbridge, with a game in hand. Jonathan Keep’s side are negotiating every hurdle efficiently and another triumph this weekend against Huddersfield would leave them in a wonderful position heading into the final two months of the season. As for Huddersfield, they were left frustrated at Lockwood Park in Round 23 as they slipped to a third defeat on the bounce. Gareth Lewis’ side were beaten by Chester for the second time this season which meant Field’s patchy form continued. The Yorkshire outfit have been having a fine campaign following promotion from National Three and seventh place in the table highlights this, but just two wins since the turn of the year is something Huddersfield would like to improve upon this Saturday. Last Saturday, the first of two massive tests were passed by Stourbridge. An excellent 41-34 win over promotion rivals Sedgley Park was a crucial victory in their battle for a top two place and Neil Mitchell’s side have another tricky clash ahead when they travel to Tynedale this weekend. Stour head to the North East having lost just one of their last nine matches and with this being their only game in hand, a win at Corbridge would further enhance the likelihood of them finishing in the top two for the first time since 2013. Their opponents, Tynedale, may also be harbouring promotion ambitions. Despite a defeat against rivals Hinckley last Saturday, Scott Lawson’s men are 10 points off second place with two games in hand so victory over Stour this Saturday would boost their chances significantly. Their inconsistent recent form has certainly held them back from progressing up the division, but the fifth placed side are back on home turf this weekend where they have won their last four matches. Can they stretch that winning run to five games to keep them in the hunt for a top two finish? Sedgley Park would have been irritated by their defeat to fellow promotion candidates Stourbridge. Sedge had the lead in the second half, but two unanswered scores in the final quarter saw Stour clinch the win to keep them in the top two. That loss for Sedge was their first in six matches so Matt Bebbington and his side will be aiming for a reaction when they host Leicester Lions at Park Lane. The Tigers are now seven points off second place with two games in hand and this weekend, they come up against a Leicester Lions side that picked up an excellent victory against Wharfedale in Round 23. Andy Key’s side have won two of their last three games which is their best run of form since November and another victory for the 10th placed side could see them move up to as high as sixth in the table. South Leicester’s season is in danger of fizzling out. After sitting in the top six for the bulk of this campaign, the men from Welford Road have found positive results hard to come by in 2018 and they head into this fixture with Blaydon having won just once since the beginning of the year. South sit bottom of the form table as we approach the final two months of the term, but they can move back ahead of Chester and Huddersfield in the league standings with their first away win since November. Whilst South’s season might be petering out, Blaydon will be hoping their campaign is bursting into life at just the right time. A significant victory over rivals Sheffield last Saturday was the Crows’ first in eight matches which now leaves them 10 points off safety with two games in hand. Matt Thompson’s side are back on home turf once again this weekend and with South travelling to Crow Trees in poor form, this could provide a golden opportunity for Blaydon to continue their escape from relegation. Macclesfield’s resurgence continued in Round 23. Following just three wins from their first 13 matches of the season, the Blues were staring at a possible relegation battle, but five wins from their last seven games has sparked their season into life. It has been an indifferent term for the Cheshire club after relegation from National One, but interim boss Marshall Gadd has certainly got Macc heading in the right direction once again. The men from Priory Park are now 11 points clear of danger with three games in hand and one of those sides currently in trouble is Sheffield. Captain Dom Parsons told us this week that “every game is now a cup final” for his side as they look to avoid an immediate return to National Three. Last Saturday, the Yorkshire club suffered a setback away at Blaydon which means they are six points off safety with this game in hand. It is far from over for the men from Abbeydale Road and a second away win of the campaign would give them real belief that they can beat the drop this term.